N78 current firmware has serious problems!!!!!!! Hello,everyone...i decide to buy the Nokia N78...any opinions or comments? if compare with Nokia N82...Which one is better to consider to buy? Imran, 19 Sep 2008Can somebody tell me which is the loudest(loudspeaker) s60 phone among latest phones nokia n81 has the loudest speakers among all latest nseries. DOES ANYONE knows when Nokia will release a new FIRMWARE for N78???? AND when it will release the N-GAGE SUPPORT for it??? AND N78 users DO U HAVE A VIDEO MENU in the multimedia menu???? Bought it last week for 600SGD. I have been thinking for a while after reading at all the posts. - So far battery does the job very well (+3 days in GSM mode and fooling around, but limited WIFI usage). - Yes the back case wobble a bit, but... I have no comment about s60 since too soon to judge (I come from ericsson). - Finally I have been VERY impressed by the PC suite taht worked from scratch (synch, modem, load maps, ...). what's biggest memory card for this phone ??? 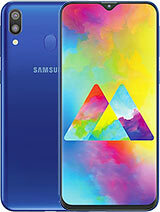 i want to buy this phone .but i don't get it proper picture ? If I want to buy phone in the price range of N- 78 .what should have i have to buy? before, this phone is not worth it. but now that the price has dropped down it's really worth your money. if i will print photos in regular photosize using this phone's 3.2mp camera will i see a major difference from a picture taken using n82 5mp camera? thanks to all who replied to my question, got to have this phone!!!! i don't have ample amount of money for n79 so i'll stick ti this one. Screen looses all color and looks like a scratchy tv only when i pause movie and turn to idle mode.need soft reset. i bought d fone based on d fascinating specs and true to type Nokia did a good job except for a few flaws, most esp with the keypads without which users cant access N78 cool features. 1. d keypad is of poor design. Call, End, Menu and C keys are in awkward positions. Same goes for the two Selection keys (the left key being too close to the Call key, and somx gives u a wrong menu when pressed. The right selection key is no better: itz too close to the Media key. and if u want to activate d loudspeaker while receiving a call, don't be surprised if you inadvertently reject d call! At times it doesnt even respond to the shortcut i set for it). 3. alfanumeric keys too tiny. typing is inconvenient. Aside these, N78 is cool.